Earthwood Homes is a service-oriented timber frame design and construction company specializing in traditional mortise and tenon joinery. Based in Sisters, OR since 1990, our passion is to provide clients with homes and buildings that enhance the quality of life through careful design, unique materials, and skilled craftsmanship. Timberframing is a centuries old building technique developed by Old World craftsmen. The structural members of the building are crafted from large solid timbers and are connected by “mortise and tenon” joints. Enclosure systems typically provide for the structural beams to remain exposed on the inside of the home, creating a dramatic visual effect. We're different. Here's why. . . . 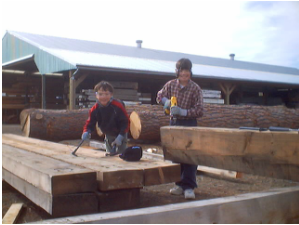 Many of the timber frames built by Earthwood Homes are made of dry and stable Douglas Fir beams salvaged from old structures such as sawmills, military storage buildings, docks, piers, trestles or agricultural structures. As the availability of recycled timber becomes more difficult and costly, we have also developed sources of high-grade, kiln-dried material for use in our frames. 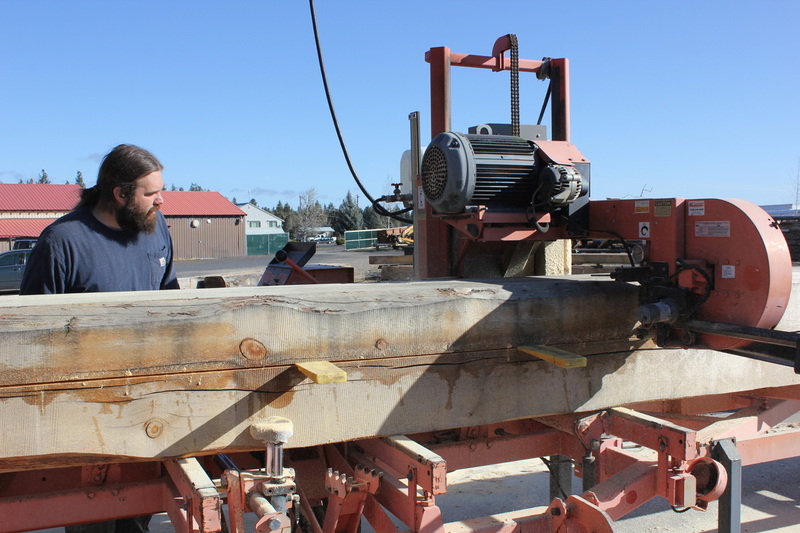 Given our large inventory of recycled timber and ability to create unique surface finishes, many customers come to us for custom cut mantles, counters and table top planking. Earthwood Homes can produce timber orders sawn to your specifications. Often we are called upon to supply a visually-dramatic solid structural ridge beam to substitute for a glue-lam beam or exposed stair system framing package. Surfacing options for all our beams include: planed smooth, band saw rough, power hewn, light & heavy grind, rustic petina and wire brushed.